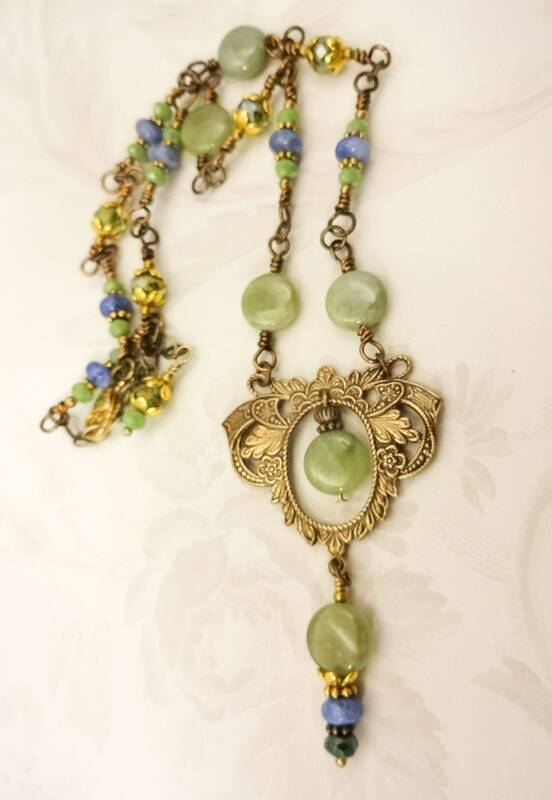 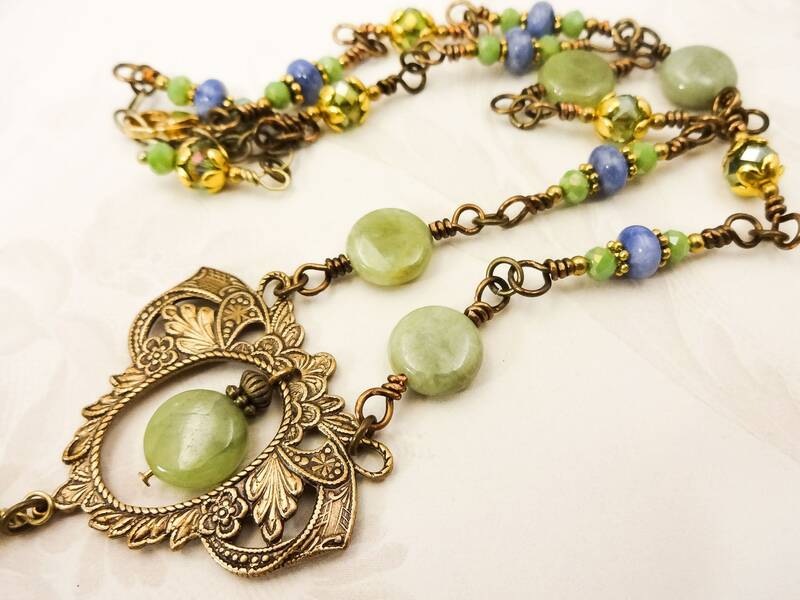 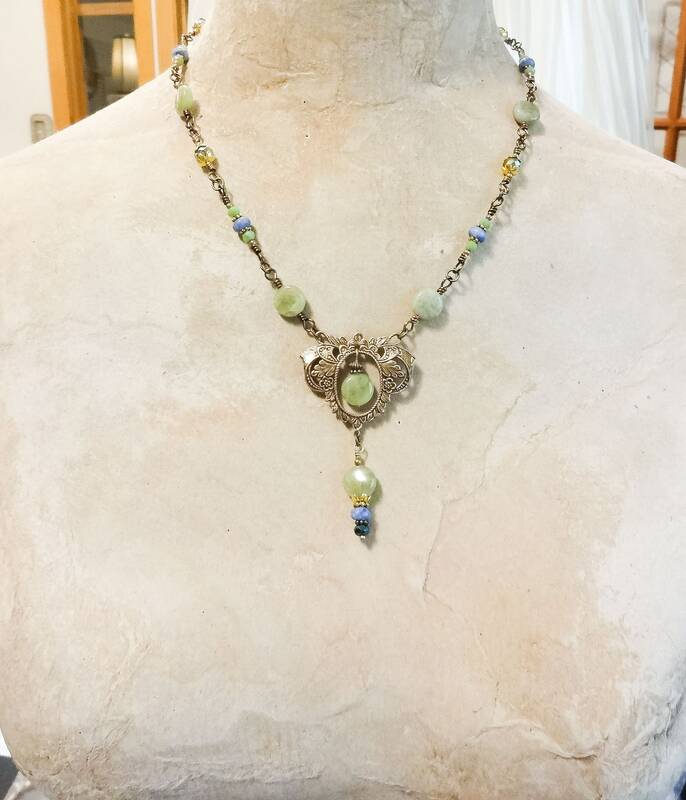 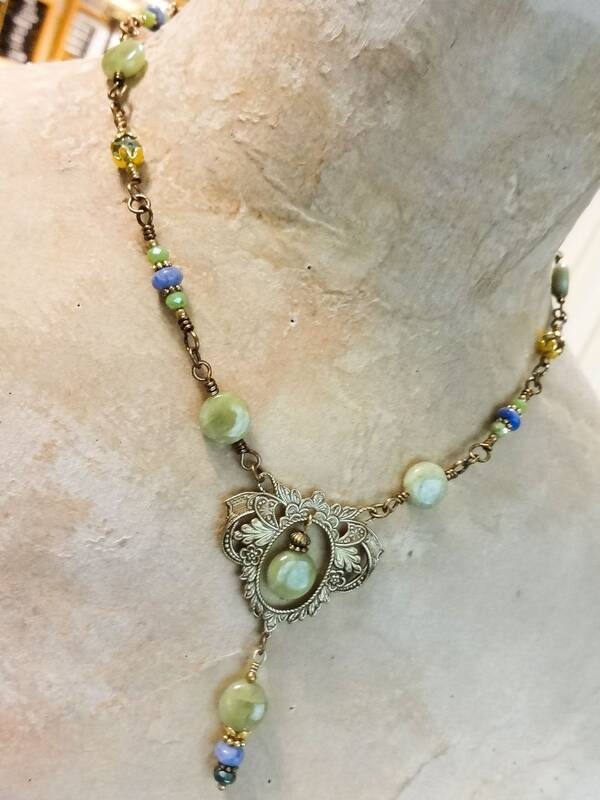 I've always loved the look of antique brass filigree with these gorgeous Green Garnet gemstone beads. 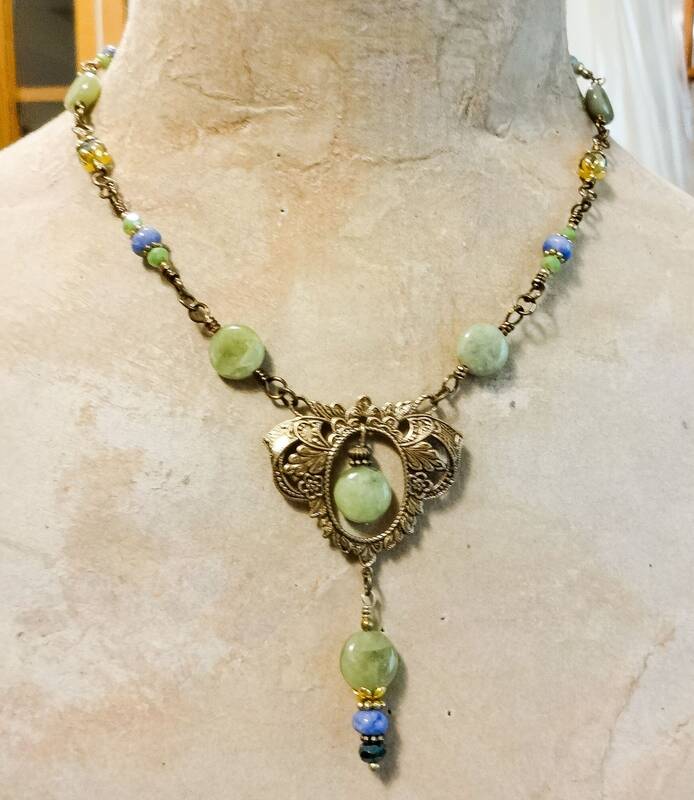 I paired the green garnets with Sodalite, Czech window glass and firepolish rondelles. 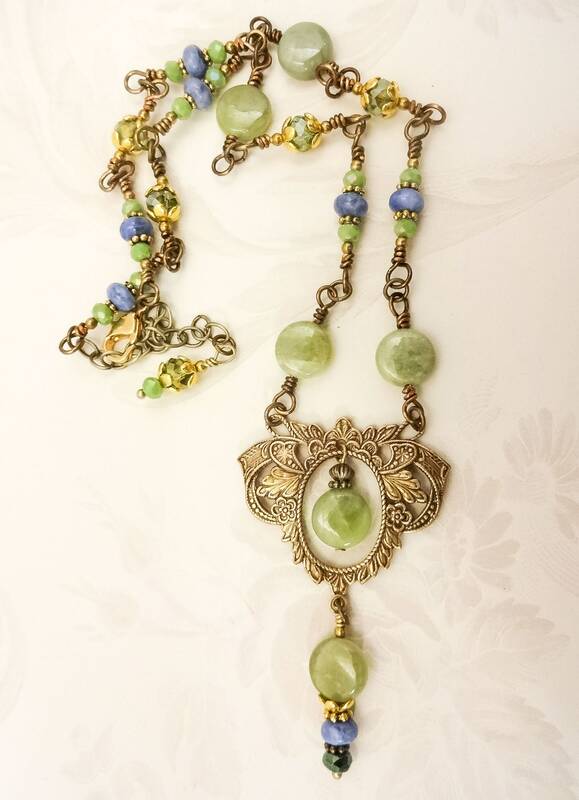 The shiny gold bead caps on the window glass beads adds a pop of brightness. 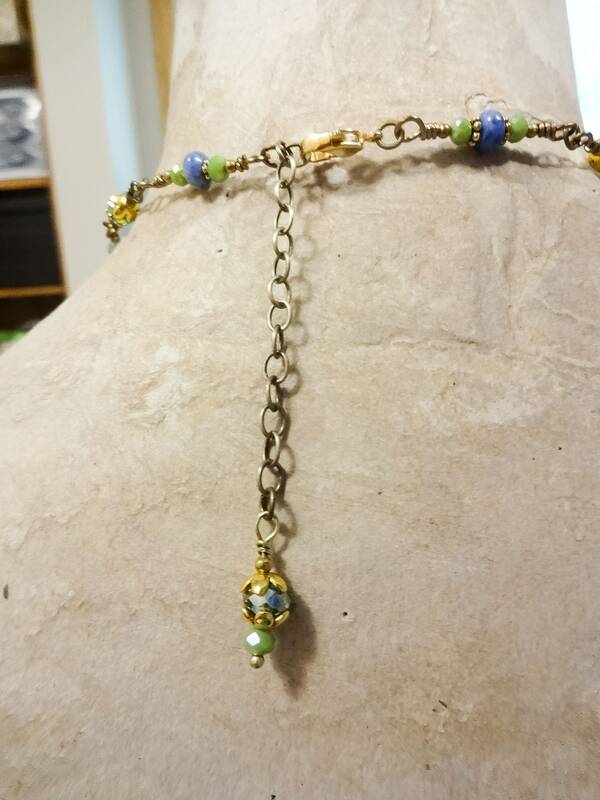 The closure is a gold lobster clasp that attaches to a 2 inch long antique brass chain making the length adjustable from about 17 to 22 inches. 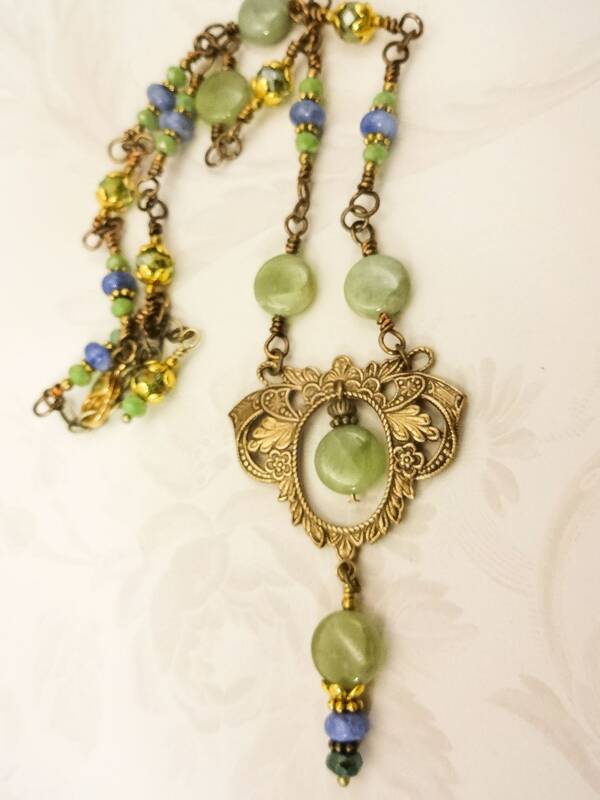 Comes in a cotton-filled gold foil box perfect for gift-giving or for yourself!